Janet Knispel’s “Bully…or Bullied?.” Are you afraid to stand up to a Bully? Sarah seemed to have it all – she was popular, pretty and had most of the middle school hanging on her every word. So why did she enjoy being a bully to Lyndie? 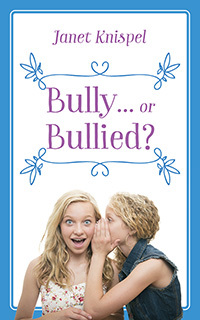 Along with the help of her friends, Lyndie comes up with a plan to stop the bullying. Previous Previous post: Let’s Get Some Money in your Pocket for FREE!